Welcome to Advantage Contracting! Located in Wayne, NJ, we specialize in an array of building and project management services in Essex, Bergen, Passaic and Morris counties. Since we started 25 years ago, our goal has remained the same: to provide our customers with an exceptional product and service every time. Advantage Contracting is committed, now and in the future, to ensuring our reputation lives up to our values. Here are a just a few of the projects that Advantage Contracting can help you with. Kitchens: We can give your kitchen an entirely new look with professionally-installed cabinets or countertops (with the material of your choosing). 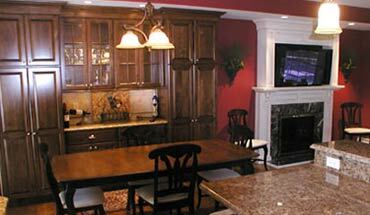 We also handle the demo, drywall, electric work, plumbing and more. Bathrooms: Advantage Contracting can do a full-service bath remodel that includes design work, demolition, fixtures, flooring and utilities. Additions: Wherever you think you might want to add more space to your home, Advantage Contracting can help you make it happen. 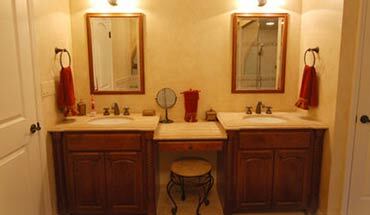 Our additions work ranges from bedrooms, bathrooms and kitchens to laundry/mud rooms, garages and more! Basements: Whether it’s time to finish your basement, waterproof it after a rainstorm or something in between, Advantage Contracting can handle the job. Roofing/Siding: Advantage Contracting offers roof repair, maintenance and installations—regardless of how old or large your roof your may be. 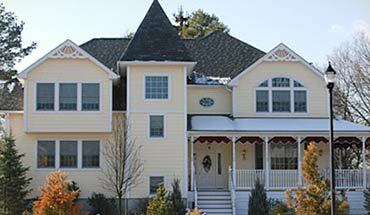 Our siding options include vinyl, brick and cedar shake. 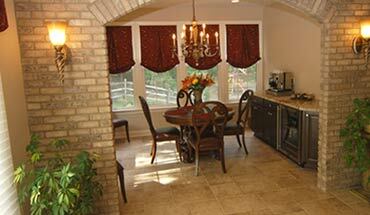 Decks/Doors/Windows: Our focus is not exclusive to large remodeling projects. We handle smaller projects like window additions, door replacement, or installing a patio or deck so you can entertain friends and family. Working with Advantage Contracting means you only have to make one call when you need work done on your home — we can do it all. 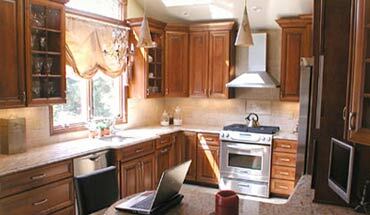 Contact us today to get started on your next home improvement job. Call (973) 696-0333 or complete our online request form. 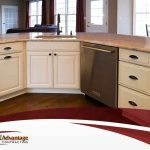 Advantage Contracting can take on any kitchen remodeling project from start to finish, whether you’re looking to make a drastic change or just want to update old fixtures. Since we started 25 years ago, our goal has remained the same: to provide our customers with an exceptional product and service every time. Advantage Contracting is committed, now and in the future, to ensuring our reputation lives up to our values. Here are a just a few of the projects that Advantage Contracting can help you with. In our vast search of a deck contractor, our search ended with Rich from Advantage Contracting. From the start, he was patient and very accommodating. With so many options out there, he helped guide us and turned our ideas into reality. Craftsmanship and professionalism was top notch. It doesn't get any better and you won't be disappointed... Faris A.
I have known him for 20 years and he's spectacular to work with. Even his crews are very organized and always clean up after themselves... David A. 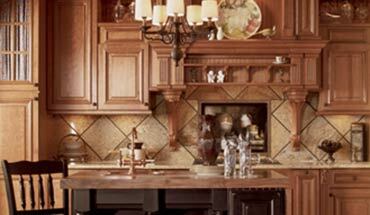 Sometimes all it takes to give your kitchen a brand-new look is a simple redesign of its cabinets. Yes, installing a beautiful splashback or upgrading your countertop are all great remodeling projects to take on, but they could just as easily cost you an arm and a leg. 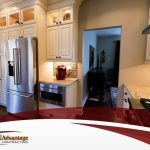 If you’re in a tight bind moneywise, but you still want to freshen up your kitchen’s looks, then your trusted experts in kitchen remodeling services from Advantage Contracting have a few suggestions you may want to check out.